When I get new students with some experience in yoga, I like to ask them: What is this pose for? What are you trying to accomplish here? And I am always amazed at how often the students have absolutely no idea. They’ve been going through the motions without giving a second thought to the intentionality of their practice. If you don’t know what you are looking for, how will you know whether or not you find it? If you DO know what you are looking for, the practice becomes much more personal and much more purposeful. So I believe that it is our responsibility as yoga teachers to continuously educate our students about the intentions behind yoga poses. Now, I know what you are thinking – Are you crazy? There is a bazillion of yoga poses! Well, technically there are 1,500 native yoga asanas, according to Traditional Knowledge Digital Library (an Indian traditional knowledge repository), compiled from 38 traditional and modern yogic texts. That’s a lot! What does it mean for a yoga teacher and yoga practitioner? Does it mean that you should know and use all of them (and try to squeeze a bunch of them into every class)? Not at all. It just shows the vast potential that the human body is capable of. Does it mean that you should know what each one of them is for? That’s a bit unrealistic. What makes more sense is using some sort of classification, both for the purpose of understanding how each pose works and how to teach it. Classification simply means sorting poses into groups that share common attributes, and the most important attribute in any pose is the position of the spine. We usually don’t talk about the spine much in our yoga classes – you are much more likely to hear something about your hips, hamstrings or arms. Yet the spine is the structural and energetic center of the body. From the structural perspective, the spine is responsible for balanced weight distribution during any physical activity and it encloses and protects the spinal cord – a bundle of nerves that controls all movement and organ function. You’ve heard it before: ”You are only as young as your spine is flexible.” Any sort of spinal rigidity and/or misalignment can have series health implications. And our modern lifestyle of sitting, driving, computers and cellphones is not helping. 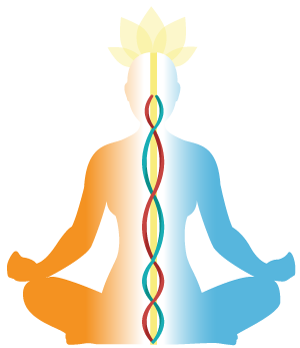 According to the yoga tradition, the spine is also an energetic center of the body – the main energy pathway, sushumna nadi, runs along the spine. Traditionally, yoga poses were meant to move the energy – prana – throughout the body, culminating in the energy rising up along the spine. Therefore, the position of the spine in each particular pose is important both structurally and energetically. In my tradition (viniyoga) the execution of any yoga pose is pretty straightforward. You begin by deepening the breath; then you use the breath to animate the spine; the rest of the body follows along. So it doesn’t matter whether you do Bhujangasana or Uttanasana, it always follows the same pattern – breath-spine-body periphery. Thinking about your spine in every yoga pose also helps you understand what it is that you are trying to get out of each yoga pose. Here is how it works. Your spine is capable of moving in 5 different directions: forward (flexion), backwards (extension), sideways (lateral flexion), twist (rotation) and slightly upwards (axial extension). Based on these directional movements of the spine we classify all yoga poses into the following categories: forward bends (flexion), back bends (extension), lateral bends ( lateral flexion), twists (rotation) and extension poses (axial extension). The poses in each group share certain characteristics that help us identify the structural purpose of each particular pose. FORWARD BENDS: The purpose of all forward bends is to stretch posterior (back) structures of the body. Lower back is usually our primary concern, but, depending on the pose, it can be back of the neck, upper back, hamstrings or calves. BACK BENDS: The purpose of all back bends is to stretch anterior (front) structures of the body and/ or strengthen the back. Anterior structures include: front of the neck, chest, solar plexus area, hip flexors and thighs. LATERAL BENDS: there are two distinct groups of poses in the lateral bend category. Group 1 includes poses where the spine is flexed laterally; the purpose of those poses is to alternately stretch and strengthen the lateral (side) structures of the body: obliques, intercostals, QL, lats, etc. Group 2 includes the poses where one leg is flexed and abducted, creating the “pelvic/hip opening”. The goal of those poses is to stretch and strengthen the muscles that bind the leg to the pelvis. TWISTS: Twists are important because they rotate the spine, increasing circulation to the intervertebral discs, but also because they realign the relationship between the shoulder girdle and the spine, as well as the pelvic girdle and the spine. That is essential for different kinds of shoulder/ hip imbalances. AXIAL EXTENSION: When you go to bed every night, you are slightly shorter then you were when you woke up. Gravity causes our spines to become incrementally shorter. Axial extension poses reverse this process by elongating the spine, while integrating the spinal curves and facilitating better posture and alignment in general. They also help create more space in the joints (shoulders and hips). Understanding the directional movement of the spine in every yoga pose is very useful in practice design. If you want to stretch the chest, you know that you will need to include a variety of back bends. If you want to realign the position of the shoulder blades, you will be sure to focus on twists. And next time your student asks you: “Why are we doing Downward facing dog?”, you will be able to explain, that Downward facing dog is an axial extension posture, therefore the purpose is to lengthen the spine, build better relationship between the spinal curves and create space in the shoulder joints. When you look at it that way, you know that any one of those adaptation will accomplish the task, therefore you can select the option that is more appropriate for your student. If you are clear about your intentions with each particular pose, it will clarify your thinking of how to choose an appropriate pose, how to teach it and how to adapt it to a specific student. Next week we will begin our in-depth exploration of those 5 groups of poses: forward bends, backward bends, twists, lateral bends and axial extension postures. We will demonstrate which poses belong in which category, what can we hope to get out of them, and how we can make them work for students of different abilities. We will zoom in on couple of postures within each category and show how you can use them in different situations for maximum effectiveness. Don’t miss it! Thank you for your comment Jane! I certainly wouldn’t expect a student to give me a full list of the benefits of each pose 🙂 But if the student is doing a Cobra pose, for example, and has no idea that it should strengthen her back, she is more likely to hurt herself and forgo the benefit altogether. Often we spend so much time explaining every small little detail about the pose, and we forget to mention why we are doing it in the first place. I find that it works much better the other way – if you explain to a student what he/she can expect to get out of it, they are more likely to figure out the details on their own. Beginners, of course, will need much more guidance. Thank you, Olga, for this article! I like the way you structure your discussions! I think, it is forgivable if student don’t know why exactly they are practicing a certain Yoga pose – they might feel the effect if they are guided properly and then realize the purpose. What I am observing often is, that teacher don’t know what the poses are about. You very often find for example that the hamstring stretch in Adho Mukha Svanasana or Pascimittonasana is emphasized or students are asked to lift their head in Uttanasana. And usually there is no awareness of the effects of yoga poses at the energy level (Brmhana, Langhana). As Leslie Kaminoff has put it, most classes are choreographed, not designed for a purpose. Hi Joanne! I agree, with our training it becomes second nature to think about yoga practices from the perspective of purposefulness, I forget that it is not necessarily present in other traditions. Can we take a look at your ebook? I am am very curious! again so timely to this journey, with gratitude. Excellent. Very very useful. I appreciate your posting such an in-depth review of the classical classifications of postures. Olga i really like all your post! i love find tecahers like you, yoga with logic! About this article ,i find call axial extension to the pose you put in the picture or dowerdog is confuse. because flexion is when the spine move forward and extension is when the spine move back . So downdog can be flexion or semi inversion, dont you think? do you forget inversion? or you dont like them, i know some teacher are not agree with inversion. For plank maybe we can add other type Resistence , in this group we can put vashitasana, chaturanga, plank, half plank etc. Why you sugest for re align the should shoulder blades to do twist?. I understand that twist are done with the lumbar spine and litle bit with the dorsal spine, where the shoulder blades are, so how we can realese the tension in the romboide or trapecio doing just twist? Thank a lot for all your post ! you inspire me ! saludos desde mexico!!! Hi Marine, thank you for your comment! “Yoga with logic” – I love it! We shouldn’t throw logic and critical thinking out of the window just because we are yoga teachers! 🙂 Those are all very important questions that you are asking. We will be talking a great deal both about twisting and how it realigns the relationship between the shoulder blades and the spine, and axial extension postures, like Chatturanga, Downward dog, etc. in the next couple of months. For now I will just clarify something real quick – yes, spinal extension is bending back; we use the term “axial extension” to communicate the idea of spinal elongation. Spinal elongation is super-duper important because we are all subjects to gravitational pull, and the goal of the axial extension postures is to restore the length of the spine. So let me go into further detail about all this in the coming months and if it continues to be confusing, please let me know, OK? I hope that this stuff will continue to inspire you! Yes I agree with your comments regarding yoga poses and especially the relationship to the spine. A yoga pose needs to be experienced within the body in conjunction with the breathing. This cannot happen if the yoga teacher is doing more of a ‘choreographed performance’ with the class expected to follow without much explanation or time to do the pose purposefully or even correctly. For students to get most benefit they need to know why they are doing a particular pose and develop that awareness within themselves. Therefore, poses done with intent and held comfortably for a short period will give the student a much fuller experience and result. Great to hear that Petra! Thank you for re-posting this blog. I love your writing because you express so succinctly and logically the basic guiding principles of integration that are the basis of how I teach and have taught for a number of decades. In my classes, whatever the pose, the spine is emphasized and is presented as central to the posture and flow of energy and of course, breath. I repeat from class to class, “Never sacrifice the spine for your mental image of how you think your arms and legs should look” – a noticeable and very common issue for instance, with the upper arm thrown up and behind the shoulder in the asymmetry of the Trikonasana’s, distorting the core, or the spinal distortion that results in Vrksasana by turning the hips to the side instead of just turning the leg out, and/or flaring or flattening the groin by exaggerating or pushing natural turnout, and/or pulling the foot up into the groin, and then lifting that hip. These distortions interrupt rather than facilitate the flow of energy in the central channels and inhibit the progression of awareness towards the state of effortlessness in asana as described in Sutras II.46 “sthira sukham asanam” and in II.47 and II.48. As “Yoga” is a path to union, it is always the experience of internal integration and sensation that is important rather than the image. Ideally, Yoga instructors should grow to be facilitators for other’s experiences in conscious awareness, not performers, choreographers or cheer leaders. Your blogs are a joyful find! very useful as a yoga teacher. I think your articles are excellent and I am very particular about where I get my information. I am an ERYT and full time teacher. I study with Leslie Kaminoff, also of the Desikachar tradition. I also have both of Gary’s books and DVD’s and study the Viniyoga teachings as well as other therapeutic Yoga education material, so I have a lot of background when I read your posts. I read extensively and I find your posts to be some of the best of the best! Not only the content, but the way you organize the material and present it in such a clear and coherent manner is outstanding! I used to be an IT systems analyst in my former career, so I appreciate good analysis and writing. I hope that eventually all of this will find its way into a a book. I will definitely buy it and I share your blogs on my Yoga business page and recommend your site to my students. Thank you for all you do and for sharing your gift of teaching and writing! Hi Liz, thank you for your wonderful comment. It is particularly meaningful to hear it from another viniyogi! This is just how my mind works, so I am glad to hear that it clicks with you! Olga your insight is very helpful! However, as an experienced (and always learning) yoga teacher going on 17 years, I find myself feeling defensive when I read some of your content. I’d like to shine some light on an element of your writing that might also be affecting others. There is a slight generalization that all yoga teachers outside of the Viniyoga tradition are basically uneducated. Is there a way for you to continue generously offering your wisdom without suggesting that what I (or others) am doing with my students is a “disservice?” I prefer to feel empowered and uplifted by those who I turn to for education, as opposed to the opposite. My mentor is also a Viniyoga and yoga therapy practitioner, yet she continually requests that I trust myself and that I trust what I know, offering me a way to learn and grow within the framework of our profession. The more I do this, the more my relationship with my students embodies a unique life of its own. I am greatly appreciative to have found such a great resource, and that you clearly put a lot of effort into your blog. May I humbly suggest that you be more mindful about how you speak in regard to other teachers and traditions? Hi Lisa, thank you for your comment! I am saddened to hear that you perceive my writing as criticism of other traditions – this is certainly not my intention. I generally try to preface my statements by saying that this is how things are done in my tradition simply because this is what makes sense to me and I don’t know enough about details of other traditions to understand in depth where they are coming from on the same subject. An open discussion is always encouraged. With that said, I do not subscribe to the notion that in yoga “anything goes” because in my experience this can lead to all sorts potential injuries. My main premise always is “If we choose to do/teach something, we need to have a good reason to do it”. So I give my reasons; you are welcome to do the same. I do believe that as we get older and more experienced as teachers we might become a bit more rigid about how and what we teach, but the only remedy I see for that is to always continue questioning ourselves in terms of intention – what is it that we are trying to accomplish and what is the best way (based on our knowledge and experience) to get there? I hope it makes sense. Next story How important walking is to you?